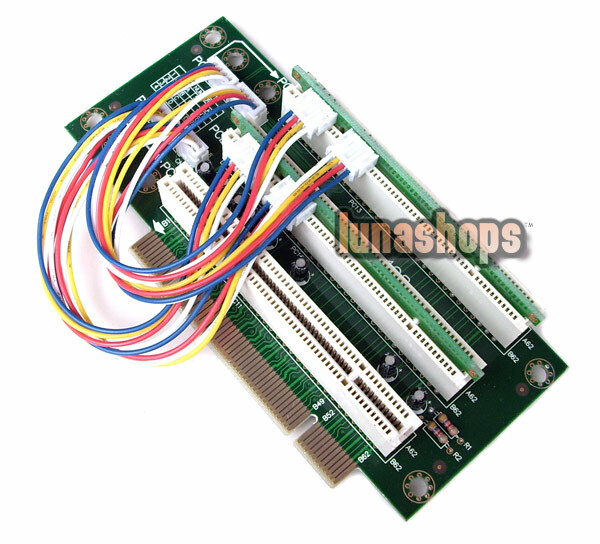 Expands PCI slots from 1 to 3. Installs PCI device at 90° angle to the riser card. Ideal for small computer & server case, like 1U & 2U. Compliant with PCI 32bit 33Hz. 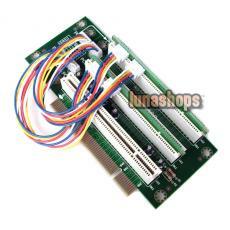 One end is three PCI female and another end is one PCI male. Please note that PCI slot 2 does not need to be configured. 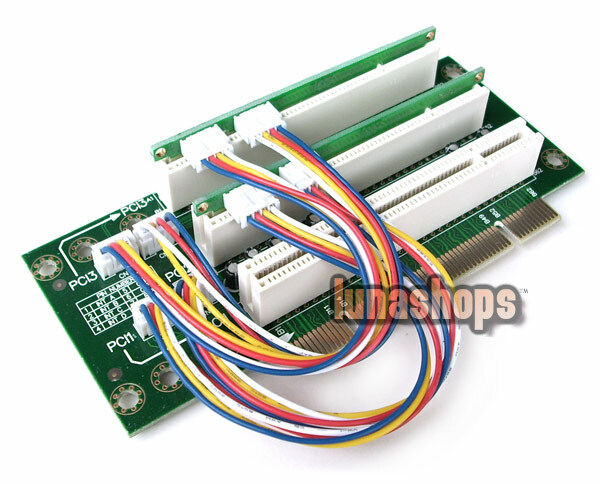 PCI slot 1 & 3 need to be connected to CN1, CN2 & CN3, CN4.